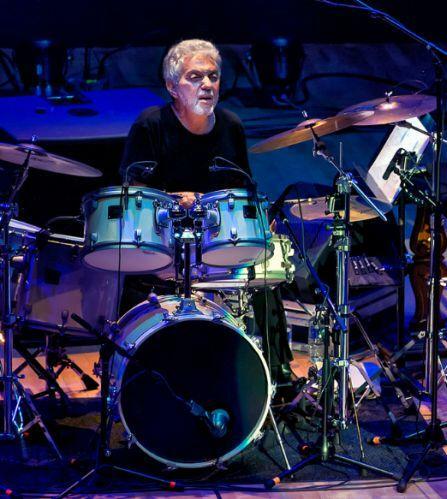 Rochester area native Steve Gadd, often cited as one of the most influential contemporary drummers in the world, now has his first Grammy Award. On Sunday, Gadd, who grew up in Irondequoit, graduated from Eastridge High School and also is a graduate of the Eastman School of Music, won for Best Contemporary Instrumental Album: Steve Gadd Band. The 73-year-old Gadd previously was nominated for a Grammy, but this was his first win. Gadd, who last year was inducted into the Rochester Music Hall of Fame, will be playing at the CGI International Jazz Festival at Kodak Hall at the Eastman Theatre on June 21. -Producer of the Year Classical: that was won by Blanton Alspaugh, and his credits include Three Way – A Trio of One-Act Operas, composed by Eastman grad Robert Paterson. -Best Solo Vocal Album- the winner, Songs of Orpheus includes tenor and Eastman grad Karim Sulayman. -The Buffalo News reports that JoAnn Falletta, music director of the Buffalo Philharmonic Orchestra, brought home another Grammy Award Sunday – for a recording of works by the American composer Kenneth Fuchs with the London Symphony Orchestra. And another Eastman grad, D.J. Sparr, played a guitar concerto on that album, called "Fuchs: Piano Concerto 'Spiritualist'; Poems Of Life; Glacier; Rush."